From the Preface written by Professor Joachim Fischer M.D., Director Mannheim Institute of Public Health (MIPH), Heidelberg University. Historically the first universal health care system, in the late 19th century the German model set an example for the development of individual health care systems all over Europe. Today, it provides a very high quality of health care but is one the most expensive at the same time. Reforms that aim at reducing costs while maintaining high quality standards have been and are still regular occurrences. Changes in the demographic structure of society necessitate alterations and adjustments. To understand the rather complex German health care system a historical perspective needs to be combined with current approaches to reform. 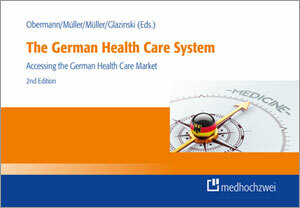 This book provides the historical background, outlines the basic principles underlying the German health care system and explains its key aspects, such as organizational structure and financing, for students, foreign scholars and practitioners alike. Graphics and tables help to gain a quick grasp and help readers to put any particular aspect into perspective. In short, the book gives readers a solid basic understanding thus enabling them to reach out for more detailed accounts depending on their specific field of interest.